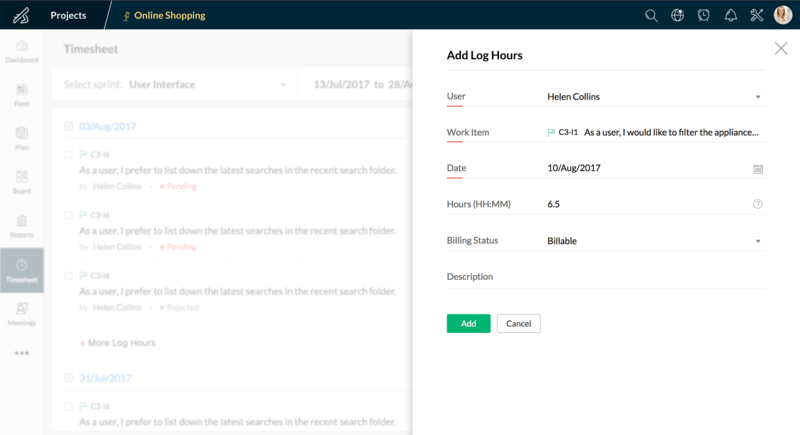 Timesheet lets you track billable and non-billable hours, approve time logs, and get a sense of how long work items take so you can estimate better with each sprint. 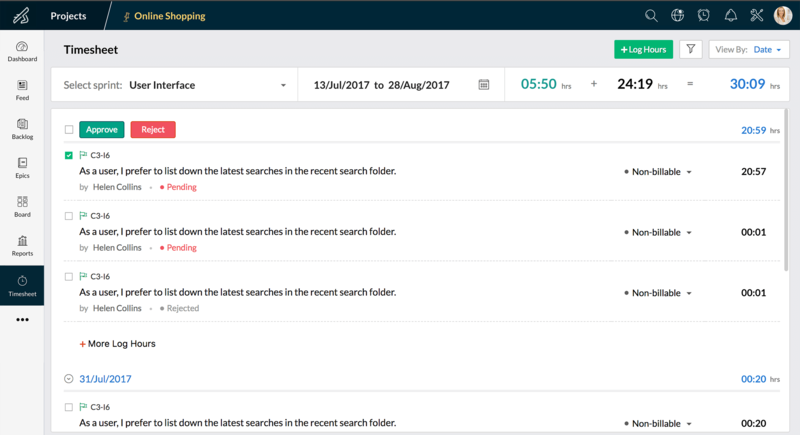 Track and tabulate the time logs for each team member in a sprint with Timesheet. 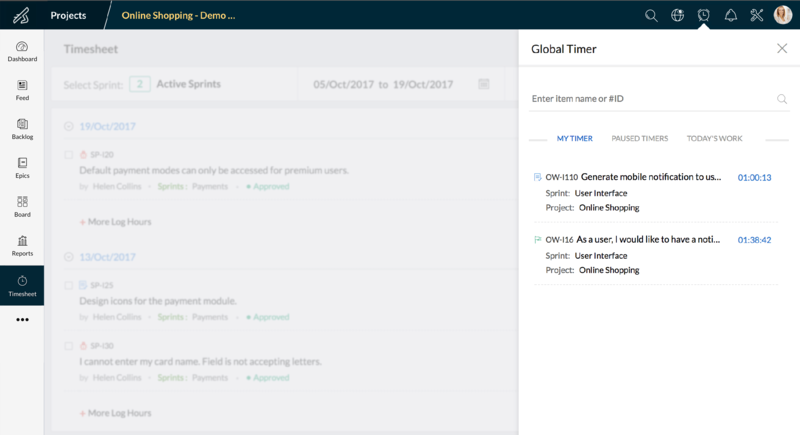 Select work items and start a timer from anywhere in Sprints. You can also pause or stop it, and check the breakdown of the day's work. 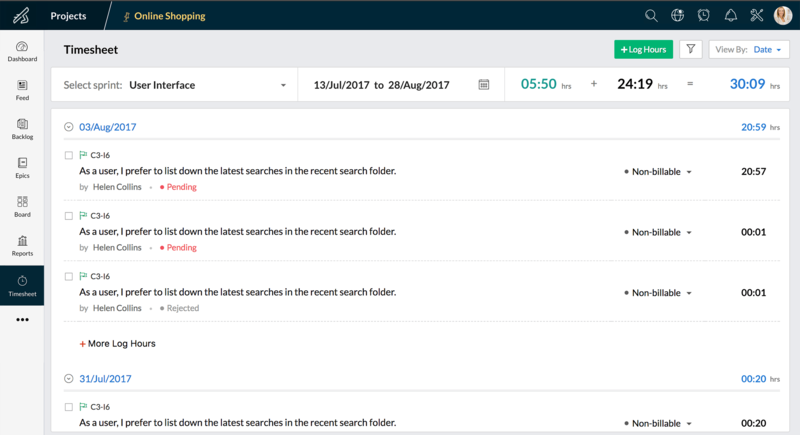 Users can select from the work items assigned to them, and enter the time spent on each item. Single click approval by the product-owner and scrum-master makes the process transparent and hassle-free. 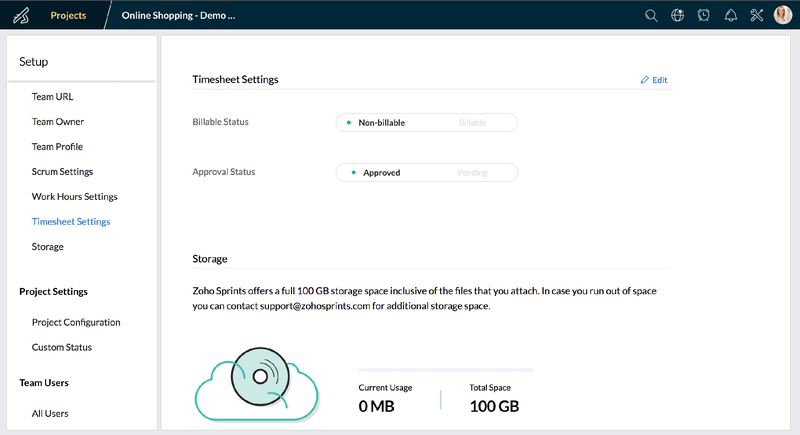 Invoicing is convenient with a complete record of each time-log for completed and ongoing sprints sorted into billable and non-billable hours. Move Swiftly. Work Gracefully. Keep Improving.